I have a data set of points from which I'm trying to make a selection of the points whose location is between two line segments. What would the way to do it? 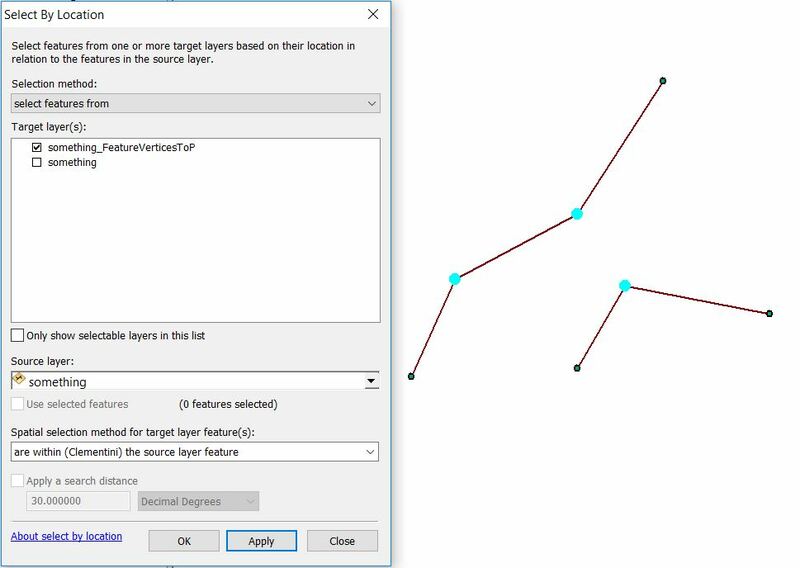 In your Select By Location call, you can change the "Spatial Selection method" to are within (Clementini) the source latyer feature. This will select the vertices and not endpoints. Not the answer you're looking for? Browse other questions tagged arcgis-desktop arcgis-10.3 select-by-location or ask your own question. Assigning common field value to segments between two points using ArcGIS for Desktop? 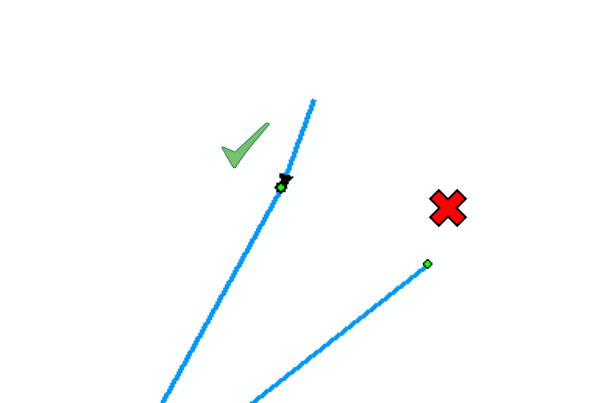 Calculating length of curved line derived from intersection between two polygons using ArcPy?